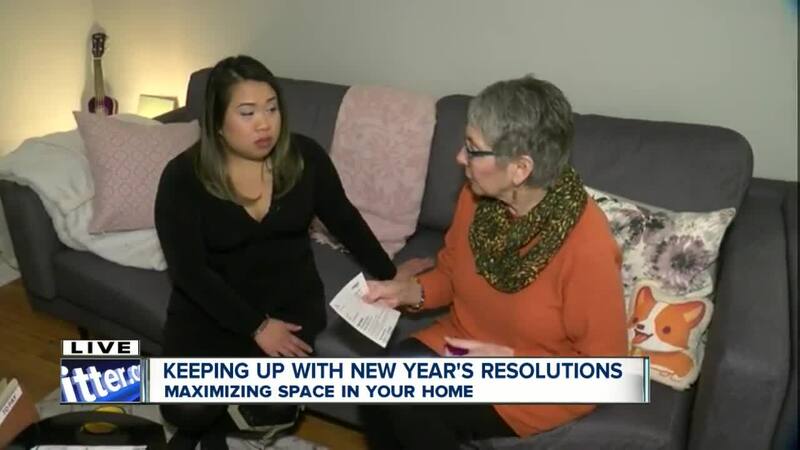 We're helping you tackle your New Year's resolution of clearing your clutter and getting more organized with the experts at Home Solutions of WNY! 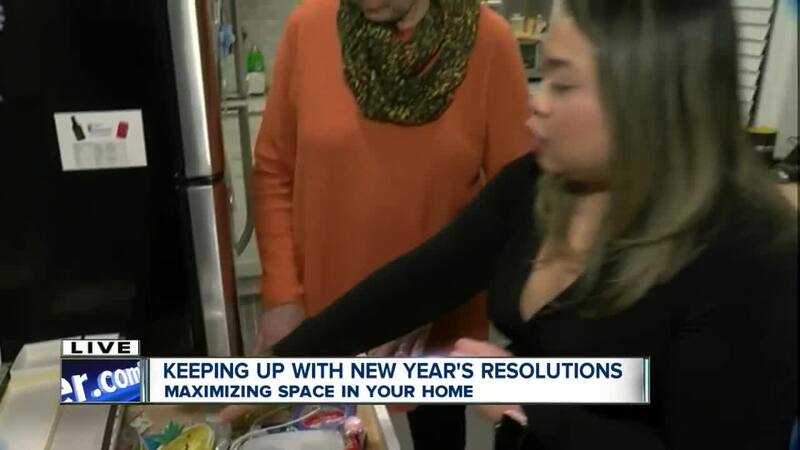 BUFFALO, N.Y. (WKBW) — To make your New Year's resolutions successful, they need to be "SMART". Specific, measurable, achievable, realistic and timely. 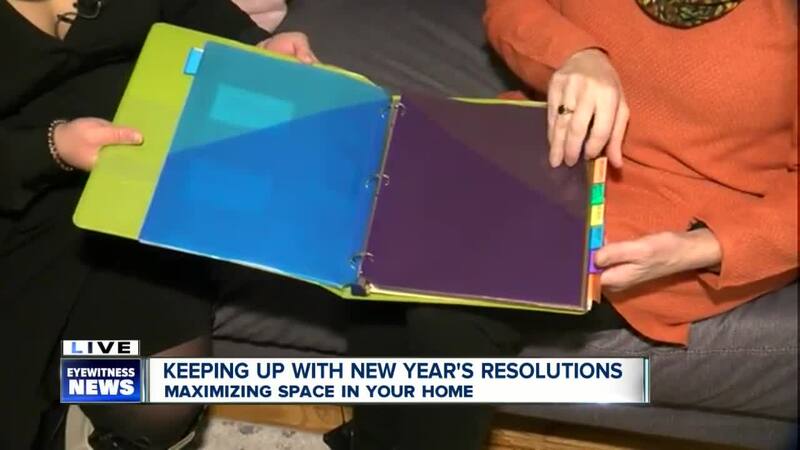 We teamed up with Jamie Shaner of Home Solutions of WNY to help you tackle one very common New Year's Resolution: getting organized. 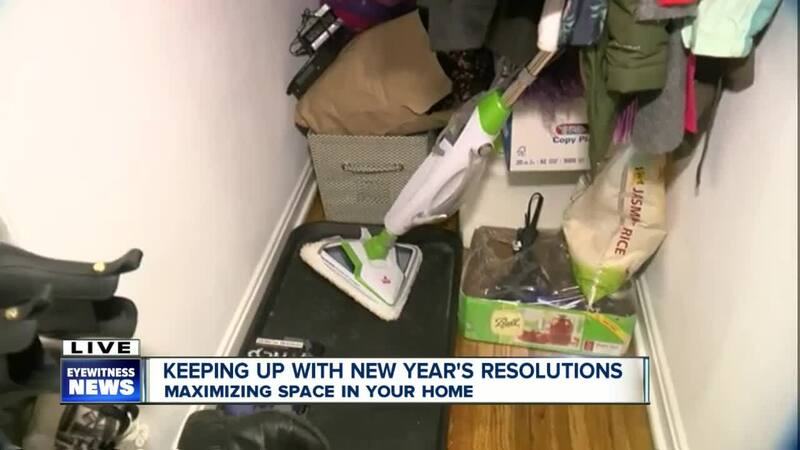 It's not a one-weekend project to tidy up and declutter your home. It takes time and effort. Getting overwhelmed is easy to do if you try and tackle too much. Make sure you're setting "SMART" goals. Saying "I need to get organized," is too general. Make your goals specific, measureable, achievable, realistic and timely. For example, if you have a pile of clothes or shoes laying around you're trying to eliminate, work in steps. Make a decision about five pieces in that pile every day after work until the pile is gone. Hang or fold whatever you're keeping. If you don't have enough hangers, get enough to do the job. If you need a dresser, set a goal to get one. If you've got a dreaded pile of papers scattered through the house, you need to consolidate it all to one spot. Incoming mail and old papers go there. You need to chip away at the backlog. Try setting a daily goal of opening and processing the incoming mail and ten pieces of old mail. Put junk mail in the recycle bin immediately instead of setting it back down. You can easily turn your junk drawer into a "go-to" drawer. Take everything out, toss the trash and use a drawer organizer to sort like items together like office supplies, batteries, loose change or twist ties. Every drawer in your home should be treated like prime real estate and have a purpose. When sorting our your closets, use labeled storage bins. Make sure the labels are removable so you can re-use them as seasons change or you get rid of some items and repurpose the bins. Plastic storage totes will protect your items from elements, bugs, dust and critters more than cardboard will. Put items that are heavy and used less frequently on the bottom and in the back of your closets. Items used more often and that are lighter should be more accessible. Your organizing doesn't have to include a trip to the store to buy expensive shelving or organizers. It can be as high or low-tech as you want. You can make your own drawer organizers with box lids! It also doesn't have to be done all at once. Your mess didn't happen in one day, so you can't clean it all up in one day either. To learn more from Jamie Shaner, click here !